Hypothesis Proved? 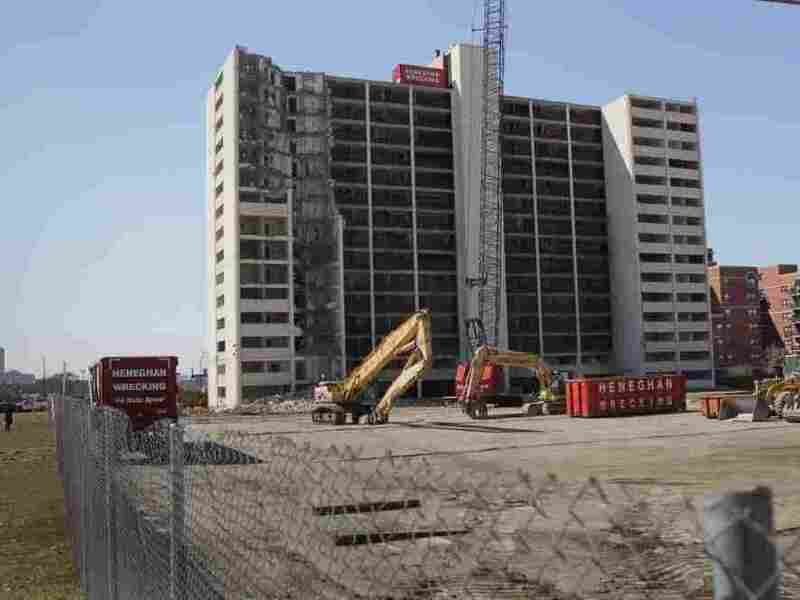 : Blog Of The Nation The Chicago Housing Authority began demolishing the lone-standing high rise at the Cabrini-Green housing project. Originally perceived as a sensible move in housing the urban poor, it was later derided as public housing's number one failure. The final tower at the Cabrini-Green housing project. The Chicago Housing Authority started demolishing the last-standing high rise at the Cabrini-Green housing project. Fifteen stories high, and full of countless others. The Chicago Tribune posted this video featuring a former resident narrating his thoughts as the crane smashed the building into piles of concrete, rubble, and rebar. During its hey-dey, tens-of-thousands of people called the sprawling, Soviet-esque housing project home. It had more than a dozen of high rises and even more low-rise tenements. Growing up 70 miles north, Cabrini-Green was myth. It's why people in Milwaukee didn't go to Chicago. Perhaps more notorious than the size of the New Deal experiment-in-housing was the crime and neglect from the city. As their buildings have closed, these families have scattered — to public housing units elsewhere or to rent private apartments with a voucher. For many, Cabrini was their only home. They deserve the chance to return home, to rebuild a sense of community many once enjoyed, and to take advantage of the new stores and jobs once unfathomable at Cabrini. Hanna Rosin, contributing editor at The Atlantic and sometimes Talk of the Nation guest, wrote "American Murder Mystery" a few years back in her magazine detailing how crime spread when Memphis tore down its urban housing towers. It's an interesting read, and, certainly controversial. Two books also came to mind: Sudhir Venkatesh's "Gang Leader for a Day"which details life in housing tower's on Chicago's south side, and "All Souls" by Michael McDonald - about South Boston's notorious projects. Neither of the books nor the magazine piece is a thorough examination of public housing policy in America, but they're all interesting, and worth reading.